Gifts for forward thinking people that are as unpredictable as Russia itself. For first timers and frequent visitors alike, Russian clichés are still very much alive: Caviar, vodka and matryoshka dolls. But why not check out some things that reflect the country’s contemporary condition – gifts that are young, fun, classy and cool. RBTH thanks the Metropol hotel in Moscow for providing the use of its Executive Lounge for this photograph. Few fashionistas are aware that the fabric designs developed at Sol Studio in the capital’s hippest heart are sold all over the world. Prints are applied to a range of accessories at Radical Chic: Scarves, umbrellas and pocket squares. Head over to their flagship shop at Patriarch’s Pond to choose from hundreds of imaginative patterns, including some with patriotic themes. Order online to save time or combine a day of shopping with something cultural, such as a visit to the Tretyakov Gallery. Founded by a husband-and-wife team over 20 years ago, BSBY is the discerning choice for local ladies seeking stylish, quality-made coats. Sketched, constructed and stitched in a factory on the edge of the city, these coats are made using the finest fabrics and finishings imported from Italy. This brand combines Russian femininity – every model comes with a belt – with climatic consideration: All women’s coats feature special protection against the elements. Sveta Amova of Amova Jewelry sells emotions. Trained at the Moscow State Stroganov Academy of Arts, she founded her eponymous brand in Spain. Her company soon found its way to her native city where her eye-catching pieces frequently adorn male and female Russian celebrities on the red carpet. There’s a generous dose of humour in her collections, often tongue-in-cheek. For example, the piece My Daddy Sold The Airplane sums up Moscow’s love of bling. 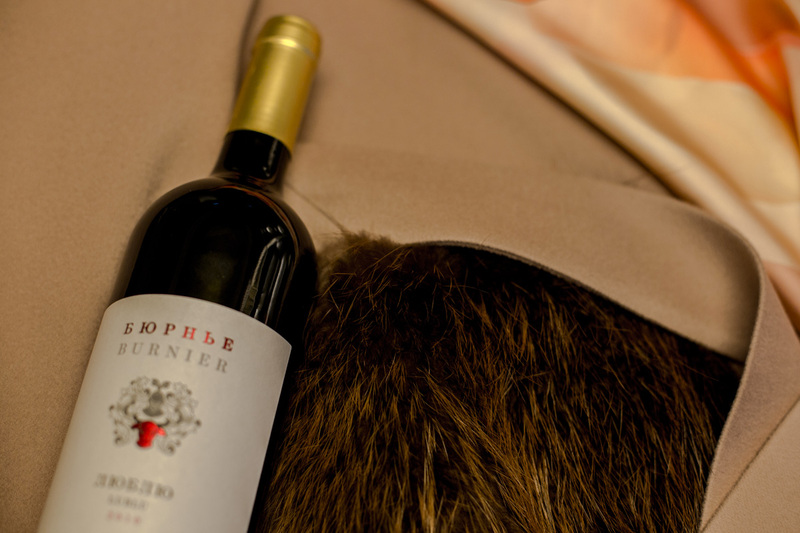 Russian passion and Swiss precision combine to make winning wines at Domaine Burnier in Anapa on the Black Sea. Made with love and adhering to eco-friendly technology, the winery was established 15 years ago following a fact-finding mission that led Renaud and Marina Burnier to discover the Krasnostop grape. Their signature white label - an assemblage of chardonnay, Pinot blanc, Pinot gris with a hint of Muscat - called Lublu, is the darling of the Moscow restaurant scene. Look out for their Rosé, which was launched this year to commemorate the brand’s anniversary. Light up your life and fill it with scents of Russia in candles by Izvestnii Khudozhnik (Famous Artist). A sign of the times, this project combines creativity and innovation with social responsibility. Discarded wine bottles from a local factory are filled with American soybean wax and then decorated with labels designed by Russian artists. For the festive season, choose from Bergamot & Pine Wood with base notes of amber and incense, Ginger with nutmeg at its heart or Oud & Clove with a hint of cardamon among the top notes – perfect for imagining a White Christmas wherever you are!